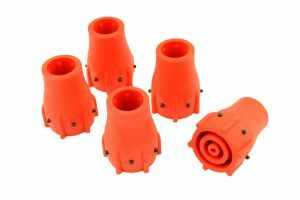 Size 19mm, 3/4" 22mm, 7/8"
Pack of 5 red x walking stick, cane or crutch ferrules with a wear indicator. Available in 19mm, 3/4" or 22mm, 7/8". Please select from drop down menu.